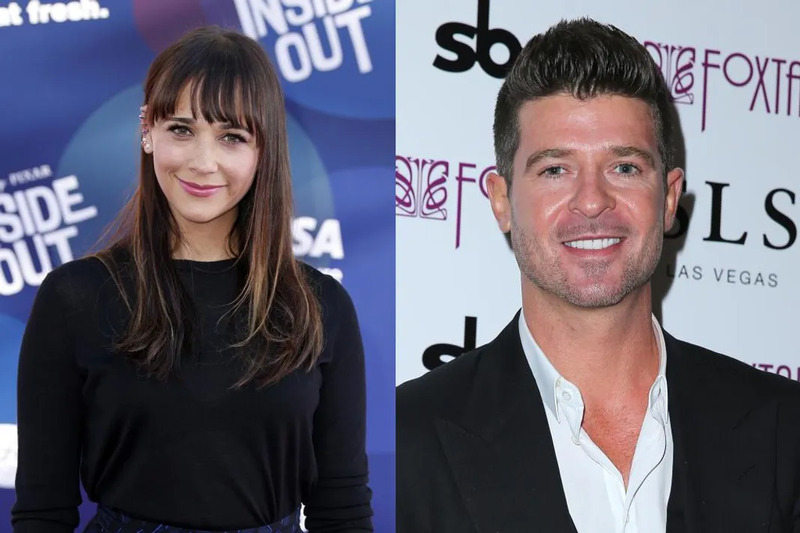 Actress Rashida Jones once dumped singer Robin Thicke to go on a date with fellow R&B star Al B. Sure when they were teenagers. The former Parks and Recreation star, daughter of music superproducer Quincy Jones and model/actress Peggy Lipton, mingled in the Hollywood scene alongside Thicke, whose father Alan Thicke, was a hit TV star when they were growing up in the 1980s. In an interview with Vampire Weekend’s Ezra Koenig on his new Apple Beats 1 radio show, Jones admits she once had eyes for the Blurred Lines singer, but suddenly she had her sights set on someone else. Grammy-nominated Sure was a friend of the family as Quincy decided to mentor the aspiring singer in 1987. However, the actress admits that Sure only agreed to the prom date to be nice, and she did not end up going to the dance with either of them.